When a number of people who you know and respect tell you about a new and emerging talent in the Cape Winelands, it’s usually wise to take note. 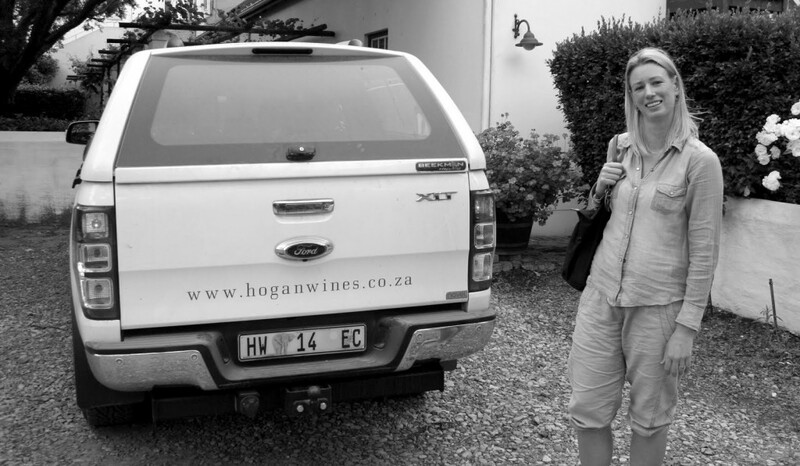 So, it’s thanks to Tim James, Cathy van Zyl MW, Angela Lloyd and Chris Alheit that Jocelyn Hogan Wilson is the latest recruit to Dreyfus Ashby’s South African portfolio. The two of us met for the first time in October 2015 in the cellar at La Bri in Franschhoek and this is Jocelyn’s story. As a teenager, Jocelyn had set her sights on being a botanist, but also was a talented tennis player and ended up in California for a period with a scholarship to study the latter. Originally from the Eastern Cape, her father, Dunstan, was a close friend of Glynn Kent, the late father of Marc who will be known to everyone with any interest in South African wine. It was in 1997 when Jocelyn was 14 years old and on a visit to Boekenhoutskloof that Jocelyn cites as her cathartic wine moment. 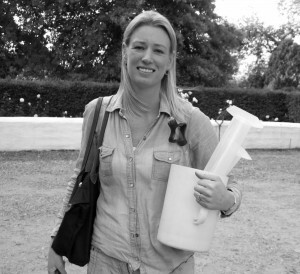 After realising that perhaps tennis wasn’t to be her chosen career, Jocelyn considered enrolling on a winemaking course at UC Davis, but returned to the Cape and studied viticulture and oenology at Stellenbosch University instead. This was in 2001 and she found herself in the same student group as Chris Alheit and his future wife, Suzaan, Alheit with whom she shared digs in town. Jocelyn took a waitressing job at Decameron (a Stellenbosch institution) in her first year of varsity and at 96 Winery Road in her third year to help finance here studies. It was also during this period that Jocelyn met Nicholas Wilson, whose family had relocated from Johannesburg in 1981, buying Dwarsriviershoek, a 305 hectare fruit and flower farm in the Banhoek Valley. The couple married in 2006. Already a seasoned traveller, Jocelyn’s first harvest season was at Watershed, a winery in the Margaret River. Following her Australian adventure, she returned to take up a winemaking position at Flagstone where Bruce Jack was to prove to be an inspirational mentor. This was in 2005, but after two years an opportunity arose for her to take the position as winemaker and general manager at La Bri, but with the birth of their first child in 2008, Jocelyn conceded that trying to be a new mother whilst simultaneously running a wine farm was one too much to handle and she decided to take a four year sabbatical from winemaking to spend time with her now growing family. 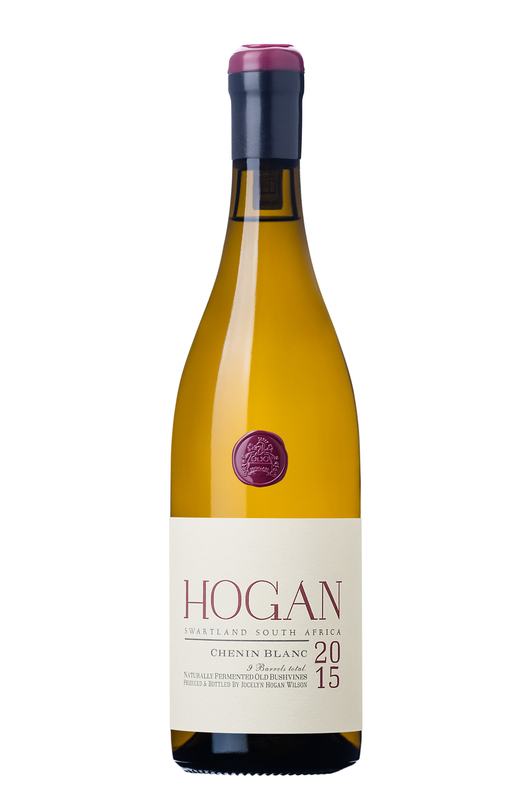 In the autumn of 2013, Jocelyn secured a few rows of Chenin sourced from 38 year old vines grown, unusually, on a cooler south-east slope in the Swartland. Historically, these grapes had been delivered to either one of the large Cape négociants or to the local co-operative as bulk wine and had never realised their full potential. Hand-picked and hand sorted, the resulting wine was naturally fermented and aged in older French oak for ten months before bottling in late 2014. Only five barrels were produced in her maiden vintage, with Dreyfus Ashby securing 300 of the 1,290 bottles produced. Moving forward, Jocelyn’s objective is to double her commitment with this particular grower with each successive harvest, until reaching a ceiling from the existing site with the 2017 vintage. The 2015 vintage was still sitting in a combination of eight 225 litre and 300 litre barrels when I tasted with Jocelyn at La Bri in October. It was scheduled to be bottled at the end of November and will be released in April 2016. With the 2016 harvest, Jocelyn has secured 8 tonnes from the same farmer and plans to make 20 barrels this vintage. For those who have already tasted and caught sight of the bottle, the quote on the back label is lifted from Oscar Wilde: ‘I threw the parcel of my soul into a cup of wine. I went down the primrose path to the sound of flutes. I lived on honeycomb’. Also making an appearance later this year will be Jocelyn’s first red release. 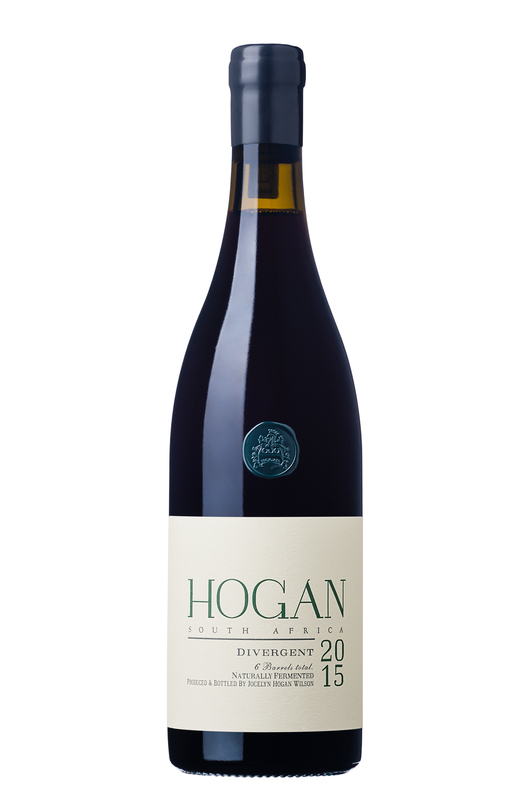 Divergent 2015 vintage is a three way blend of Stellenbosch farmed Cabernet Sauvignon from 15 year old trellised vines from the hill above DeToren in Polkerdraai, with one third Cinsaut from 40 year old bush-vines grown on the Helderberg. The balance is fifteen year old Carignan from Wellington. Jocelyn told me that initially she wanted to make a straight Cabernet Sauvignon (it’s her favourite red varietal), but it was Chris Alheit who convinced her to try out the Cabernet-Cinsaut blend. Its common knowledge that many of the older Zonnebloem Cabernet’s from the 1950s and 1960s – which Jocelyn has been lucky enough to taste – have a high percentage of Cinsaut blended in. The issue was that the pH in the Cabernet and Cinsaut blocks were too high and would need some manipulation in the cellar. But given that Jocelyn refuses to adjust the acidity, she went in search of a blending component that would naturally balance the pH of the final blend. Having always wanted to make a batch of Carignan and come across a block in Wellington, she decided to ‘give it a bash’… This component was picked early, at the end of January, in order to maintain the acidity. The resulting blend was poured as a barrel sample at Cape Wine, apparently to great acclaim and I managed to taste a pre-bottling sample at La Bri in October. The wine is incredibly pure, with the influence of the fragrance of the Cinsaut shining through. The wine, which won’t be inexpensive, is due to make its debut here in September. Of the six barrels produced, the UK allocation is 390 bottles. 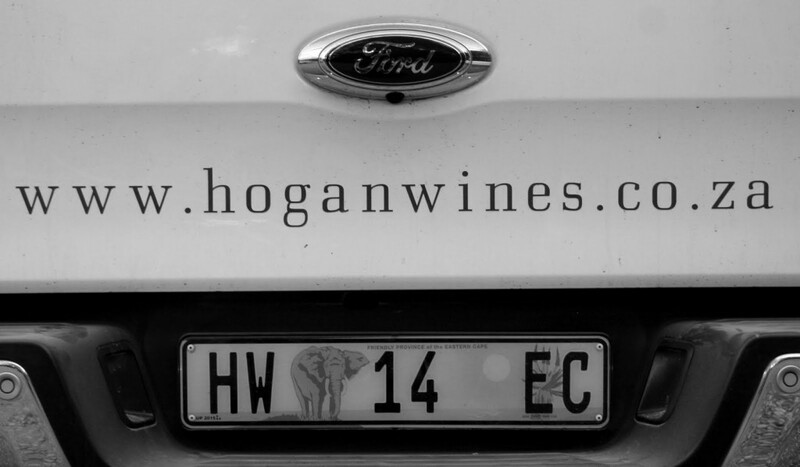 Production on the red is also set to increase in similar increments to the Hogan Chenin.